Bootleg Bart catalogue the cultural phenomena of knock-off Simpsons T-shirt. After over a decade of searching, and collating a vast number of obscure tributes to the iconic yellow family, several recurring themes started to emerge. 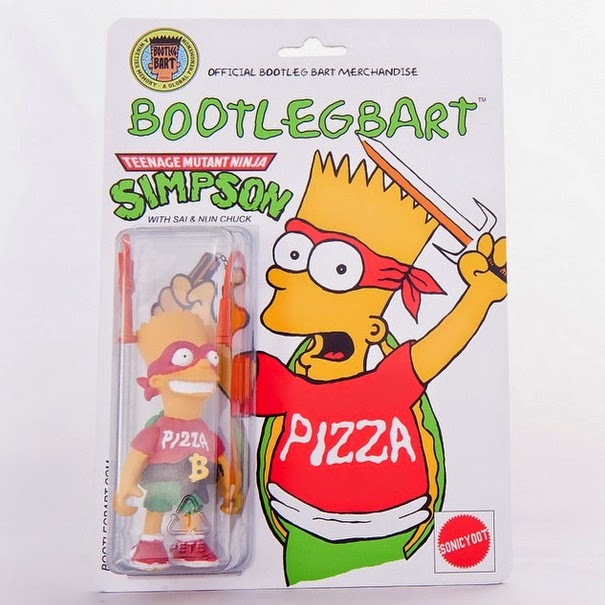 These visual trends have formed the basis for a series of super limited custom action figures being periodically released through the Bootleg Bart online store. Following on from last years, long sold out, 'Black Bart' bootleg action figure, they've now released another classic rip-off! Merging iconic characters from two hit tv shows. 'Teenage Mutant Ninja Simpson' combines Bart Simpson and Raphael of 'The Teenage Mutant Ninja Turtles' into a spiky-haired hero in a half shell! This new 3" figure, available in two distinct colour varients, has been booted from the same original 1989 Playmates Bart used for 'Black Bart', and customised by SonicYoot. Each toy has been individually cast by MR Anonymous, hand-painted, numbered and completed with sai & nun chuck accessories! Available as a timed release (May 4th - May 15th), priced $69. 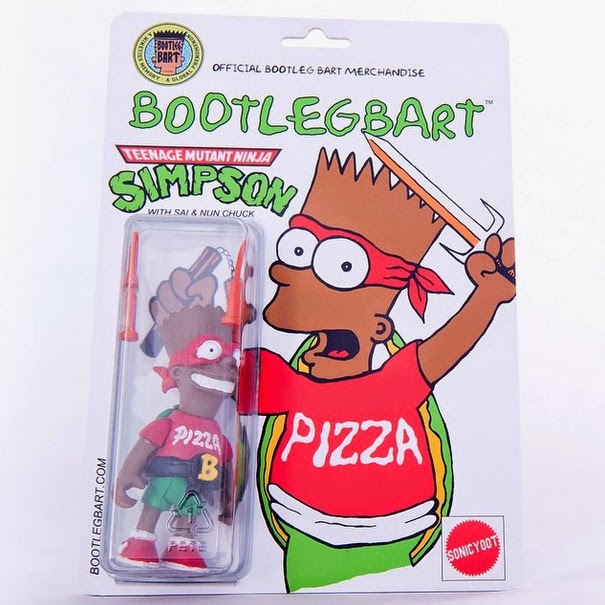 Pick one up via the Bootleg Bart online store whilst you still can!